Northern Samar is a Province of the Philippines located in the Eastern Visayas Region. The Province is Congressional divided into two districts, and subdivided into twenty four municipalities and five hundred sixty nine barangays. Catarman is the Provincial Capital and situated in the Northern portion of the island of Samar. Catarman is a first class municipality and the largest town in terms of land area and population. National Airport of the province is based in the center of the capital town. Most of the inhabitants of the province speak Norte Samarnon, known as the Waray-Waray dialect, although Cebuano is widely understood being spoken in some municipalities of Balicuatro area. Inabaknon is the third language and also spoken in the municipality of the island of Capul. The province of Northern Samar has a total area of 349,800 hectares. It has a total population of 383,654 and a labor force of 308,000 (labor force participation is 67.36%). The province produces a total 14 crops in 169,325 hectares of the land while the rest are livestock and poultry productions. Just like in other provinces fishing and farming are the main source of livelihood in the province. Much of the business opportunities in Northern Samar are linked to the rich bounty found in its fishing ground. Major harvests of mackerel, tuna, shrimps, anchovy and other living products under the sea allows possible ventures in both trading and processing of marine products. The natural beauty of Northern Samar sets to for business opportunities in tourism. It has a lot of tourism potentials that are still undiscovered and unknown to many tourists. Taking a tour of the islands is a great way to get a feel for the local history and culture. There are plenty of scenic spots to discover, such as the enchanting rock formation, incredible waterfalls and hot spring, sandy beaches and coral reefs, famous old churches, clear rivers, caves, virgin forests and many other secret places. The three secret places are the islands of Biri, Capul and Dalupiri, all off the coast of Northern Samar. Remote and desolate, and definitely off the normal tourist track, Northern Samar is a province which evokes powerful images and untouched beauty. 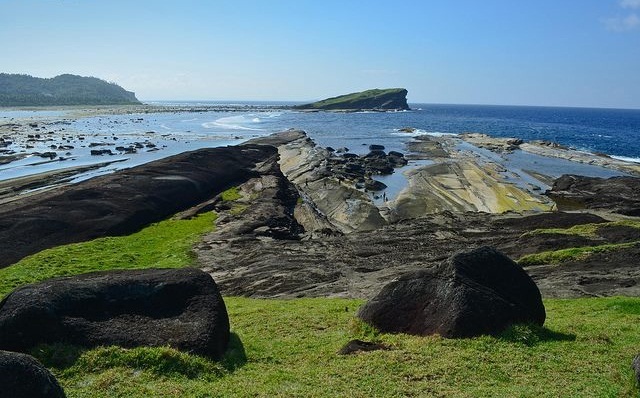 Biri Island in Northern Samar is a 5th class municipality. Biri rock formation is a land mark that defines the entire province of Northern Samar. Maybe it is unfamiliar place in the Philippines but it has “treasures” that can be big hits to both local and foreign visitors. The rock formation on the eastern side of Biri Island is facing San Bernardino Strait appearing like a majestic palace of kings and queens constructed by the battalion of armies. The Biri rock formations are masterpiece of nature created by undersea tectonic plates that shifted and moved due to the earthquakes that, according to scientists, occurred more than five million years ago. For poets and artists, they shelter a secret paradise. For the deeply spiritual, they are architectural creations of higher being. But for the Birinon, they are part of home. Capul Island is a historic town in Northern Samar. It was named during in the late 16th century to recall and give respect during the Manila-Acapulco Galleon trade. Capul Island is an ideal tourist destination for traveller seeking new adventures. Most known for its white sand beach, a lighthouse, an islet and caves used by the Japanese soldiers during the World War II. San Antonio is an Island municipality of Northern Samar where you can find the hidden paradise of Dalupiri Island, the home of white beaches, caves, and the Lagbangan Lake, which was declared as an Ecological Tourist destination by the Philippine government in 2008. The island is an ideal ground for fishing and bird hunting. You can take Manila to Calbayog or catch a direct flight from Manila to Catarman National Airport. Another option is to take a plane from Manila to Tacloban City then ride a shuttle van to Catarman. PAL Express is the only airline operating through the Catarman National Airport. From the airport you can hire a public or private car to the municipality of Victoria Port and from Victoria to San Antonio by taking a banca d motor or motor boat or pump boat. Buying a ticket the night before you want to travel is an incredible amount more expensive than booking 6 months in advance. This is because airlines know that as the date of travel gets closer, customers will have much fewer options and will be forced to pay whatever price they charge for the flight. If you prefer to travel by land from Manila, you can ride a bus in Pasay or Cubao bound for Catarman/Rawis. The bus trip lasts for 15-18 hours. If your accommodation is not in Catarman, you can already tell the bus driver to alight you at Lavezares. Bus companies are also operating from Manila to Tacloban or vice versa. From neighboring towns and province the means of transportation are local buses, PUJ and PUV. While inside the town tricycle and pedecabs. Go to the central terminal at the back of the public market and ride a jeepney bound to Allen. Tell the driver to drop you off at Lavezares. The fare is Php 50 and the travel time is 45 minutes. From Lavezares port, ride a motorboat to Biri for Php 50. The duration of the trip is 1 hour. You’ll have to wait until the passenger boat is full. You can also rent a boat for special trip of Php 500 one-way. From Biri town proper to your starting point, you have to ride a Habal-Habal for 10 minutes. Some explorers will be happy to travel in a group, while others will be perfectly happy experiencing different destination on their own. It makes sense to plan your trip when visiting either remote area or a big city with a good transport network. You should allow yourself sufficient time to visit the places that you plan to enjoy. By doing so, you will give yourself time to visit additional places and locations. A handy tip when visiting Northern Samar is to employ the services of a knowledgeable local guide. It’s a relatively inexpensive way to see the sights in comfort and without the worry of straying off course. Draw up a list of places you want to see and let the guide do the rest – it’s a good way to learn about the history and culture of the city from someone in the know.